Providing simplicity & cyber security to your complex world. To run a business is to convert chaos into order and productivity. At Toggle Industries, we believe that the concept and practice of cyber security should NOT be reserved for the business elite. All businesses regardless of size deal with sensitive client as well as internal data. Without an appropriate and proactive Managed Cyber Security Provider (MCSP), you could be risking more than just losing client data. Here, we believe that cyber security should be affordable and achievable for businesses of all sizes. By leveraging enterprise level cyber security, Toggle is able to deliver cutting-edge solutions to businesses while being conscientious of their respective budgets. With packages ranging from a few hundred dollars to several tens of thousands of dollars, we have the solution that best fits the needs of YOUR business. We believe it is important to invest in all aspects of business, not neglecting a seemingly un-important or non-priority segment of business. Whether it is marketing, sales, information technology, security or even internal administration, all these pieces must work together with every component to ensure a fluid operating environment. We also believe very strongly that a pillar of success in every businesses stems from how knowledgable and educated its personnel are. We stand behind all our solutions and consistently back them up by providing quality training to your employees with regards to our implemented solutions. We encourage you learn about our industry and we do things differently from the "other guys." ​With the advent of Internet of Things (IoT) and other home/business automation tools comes many opportunities to streamline our day-to-day. However, it also opens the door to allow for unnecessary cyber-related risks. Here at Toggle, we strive to help educate our clients and our community in better understanding the benefits as well as risks of a truly connected life. Are you experiencing an attack? Call us RIGHT NOW at 719.301.6280, email us at cyber@toggleind.com or fill out the contact form below. ​The more information you are able to provide, the quicker and better we can assist you. Please give us some details of what you are experiencing so our engineers can best assist you. ﻿At Toggle, we have a strong emphasis in education and collaboration. As leaders in cyber security, we provide consulting services for network hardware engineering, infrastructural hardening and penetration testing. Whether you're building an infrastructure from scratch or want a qualified third party to vet your environment, we can help. Our engineers are DoD 8570 certified and have decades of experience. Our engineers have experience building national data centers and backbones for both commercial as well as the defense industry. We can help your business grow by providing the right expertise wherever its needed. For businesses looking for a consolidated IT solution as well as centralized network security, we collaborate closely with local Managed Service Providers (MSPs) to bring unparalleled IT solutions towards being your Total Solutions Provider (TSP). Organizations of all sizes have some form of business strategy or plan in place. Let Toggle assess your current business strategy and help identify what priorities should be in place to help prevent and mitigate any risk due to either a cyber incident or breach. Conversely, we may work along side your existing IT team to further enhance your infrastructure. It never hurts to have another pair of eyes overseeing one of the most important components of your business. ​We work hand in hand with our local partners to bring you a diversified solution. Call us today at 719.301.6280 to schedule a free consultation. For those just looking for third party cyber security consulting, our rates start at $350 per hour, with opportunities for bundle pricing. Let a qualified 3rd party help assess and improve your organizational security. Additional 1 hour billets may be purchased at $350 per hour after the 3 or 5 hour allocation has been expended. How can we help? Also, please give us some insight about you or your organization's experience in dealing with other cyber security firms. For businesses looking to take the next step in providing security and peace of mind to their clients and employees, Toggle is proud to offer a unique solution specializing in Cyber Security. Most organizations typically only have basic IT; computers connected to printers, emails going from point A to point B, etc. Typically, we find that our clients do not have a foundation for a strong cyber security platform. What happens when someone comes after sensitive information of your clients or employees? SSNs, credit card information, addresses, your clients' and employees' entire lives? Our security engineers are trained and experienced in recognizing potential holes and breach points in your IT. Don't wait until it's too late to try and salvage your hard earned trust with your clients. Talk with us today and be proactive about your business, your livelihood. You owe it to your business to learn about cyber security. We have partnered with industry leaders in various aspects ranging from security to business development in order to bring you and your business nothing but the best. 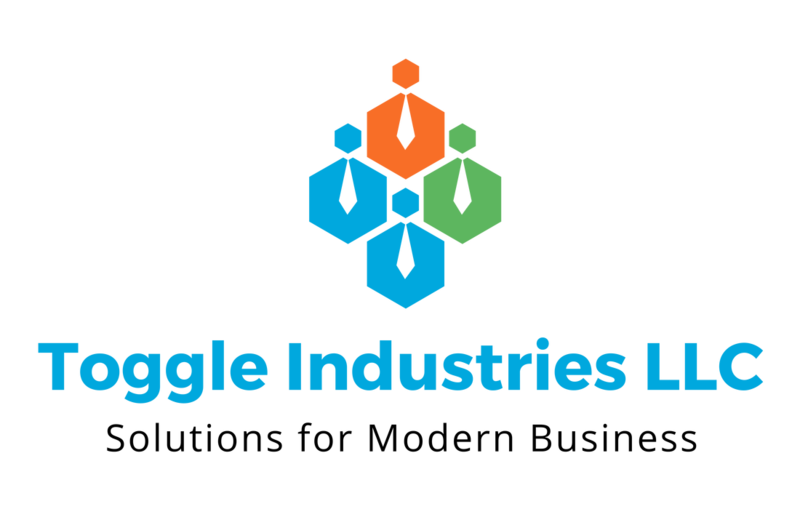 Here at Toggle Industries, we believe in creating relationships and that your successes are our successes. With nearly a decade of government and military experience working in the network security industry, we strive to bring state-of-the-art solutions to your business. Toggle provides cutting-edge solutions within the world of Penetration Testing (PenTesting) to bring your IT infrastructure to the breaking point and past. We will safely test your network for any vulnerabilities, reinforce your network and inform you on how a malicious individual or organization could've exploited the weakness. ​With experience managing software development and deployment, Toggle carries the expertise and capability to bring your dream to reality, and defend it. In collaboration with various IT, Managed Service Providers (MSPs) and other Managed Security Service Providers (MSSPs), we are able to provide not only cyber security to your businesses, but are able to refer organizations with the highest technical degree. Talk with us today about how our diverse solutions and expertise can help grow your business. Give us a call @ 719.301.6280 or fill out the contact card! I really enjoyed working with Joseph. He is a master of his craft and the website he created looks and runs great. I look forward to working with Joseph on future projects.